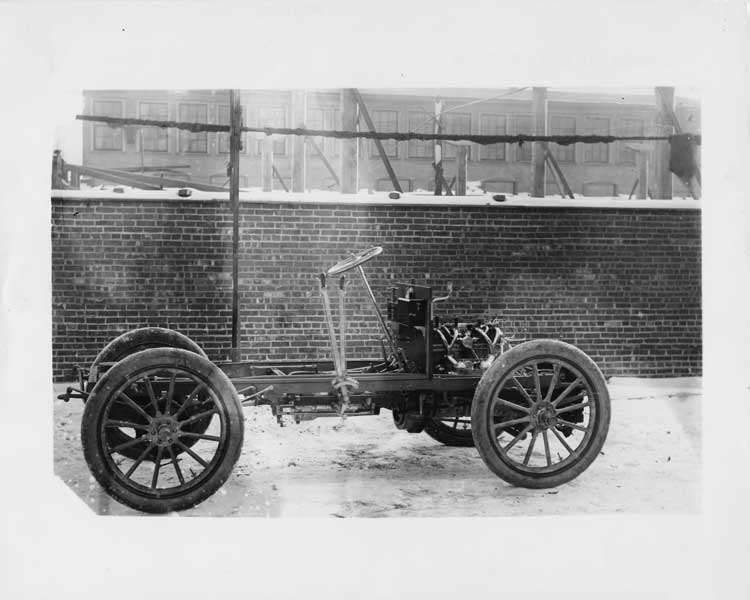 8x10 black and white photograph copied from glass negative of 1903 Packard Model K bare chassis. Inscribed on photo back; 4-cylinder, 24-horsepower, 92-inch wheelbase. Photographed at the Packard plant, Warren, Ohio plant with two-story wooden building in the background. This was the first 4-cylinder car that Packard made, cost $7000, were approximately 7 built and the Gray Wolf used this engine.